Manual transmissions were pretty popular on Ford Rangers, which were discontinued in 2011. 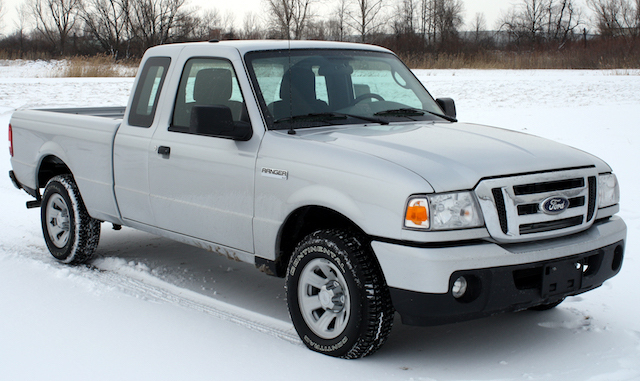 While the Ranger was a well-built truck, there are a few issues Ford Ranger owners note with their clutch system. Since we sell quite a few clutch kits for the Ford Ranger, we've decided to offer a quick troubleshooting guide for Ranger clutch problems. Issue: There’s no pressure in the clutch pedal, and the shifter won’t allow your Ranger to go into gear. Problem: There’s a problem with the hydraulic system of your Ranger. Basically, the hydraulics are not working, so the system will not work. Fix: The first, and easiest, task is to check the fluid level. If low, top off the system and test the clutch pedal. Next, check for leaks along the hydraulic lines. If discovered, identify and replace the bad lines or seals. Then, bleed the clutch system to get any air out. Even the smallest amount of air in the lines can prevent proper operation. If none of these helped, the slave cylinder, master cylinder, or both likely need to be replaced. Issue: You have to push the clutch to the floor to shift gears. Problem: More times than not, you still have air in the clutch line and need to further bleed the system. Fix: If a new installation: check pedal height and adjust to factory specifications. 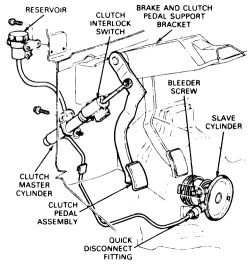 Adjustments to the master cylinder push rod may be necessary to provide the proper clutch pedal free play. If it is on a system that has been in use for some time, you will need to change the clutch hydraulics as you are probably getting brake fluid leaking past the seals due to corrosion. Issue: The clutch is slipping or smoking. Problem: Usually, these are indications of a clutch disc that needs replacement. Fix: Buy a new clutch. We've got quite a few kits for the Ranger. If you need help choosing the right kit (and are wondering whether or not to replace your flywheel), give us a call. Also, depending on the kit you buy, a new slave cylinder is often recommended. Issue: You’re bleeding the system, but the pedal has not hardened. Problem: The mounting angle of the master cylinder traps air within the bore and it is difficult to fully expunge the system. Fix: Tip the master on the truck while bleeding the system. If this doesn't work, you must remove the master cylinder and bench bleed it. Issue: You’re bleeding the system and air keeps coming out. Problem: There’s a leak or bad seal in the hydraulics that’s big enough to allow air in. Fix: Clutch fluid can only leak from three places: master cylinder, slave cylinder, lines. Check at the firewall where the master is mounted for signs of leaking first. This will indicate a bad master cylinder seal. Check along the lines as well. Slave cylinder leaks aren’t likely to cause this as a stand alone issue. 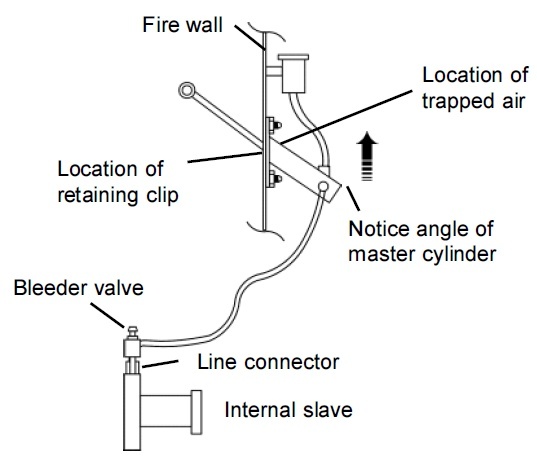 Still, if there’s no fluid in the lines and no other cause is identified, it could be the slave cylinder. We deal with many Ford Ranger clutch kits. Thanks to this, we get to spend some time talking to Ranger owners about their clutch system problems. If you have any further technical issues, feel free to contact us.